I can't believe how quick the last 5 years has gone. I have to say, still one of the best days I mean weeks of my life. I seriously couldn't have asked for a better situation, 30+ of our closest friends and family joined us on the beautiful island of Kauai, HI for one week. It truly was a perfect situation. Not only did we have tons of time to hangout with everyone, explore the island, but I got to marry my best friend and my love. I wouldn't have had it any other way, so thankful for my in-laws for providing us the best wedding ever. Thank you again to all my friends that made it out, you all made it the best time! To my love, I can't wait to spend the next 50 years together! I love you more and more each year! Thank you for all that you do for our family. 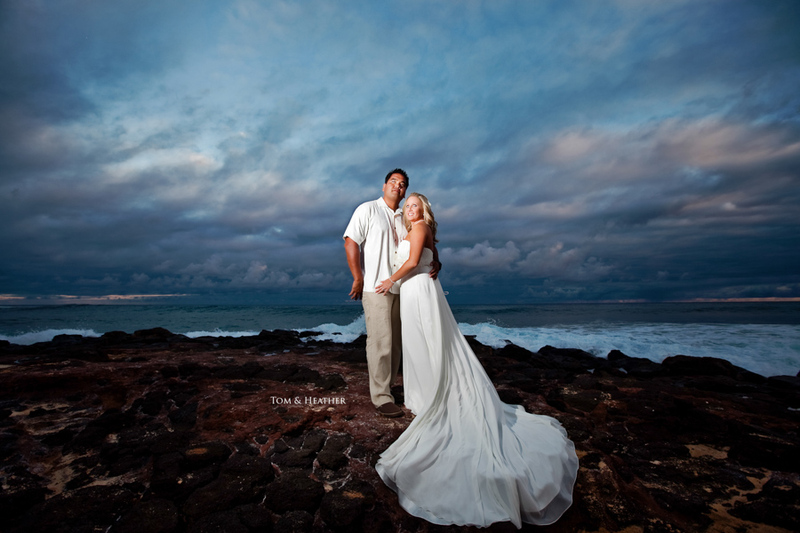 I will leave you with a shot a shot from Dulce Photography, a Oahu based wedding photography company, Jonny and his crew were the best! As I sit here this morning thinking back to morning of July 15, 2010 (yes I know I am 2 days behind), all I could think about is how much excitement I had to be marrying the love of my life. I remember that whole day so vividly, like it was yesterday. BUT instead of writing all about it today I think I just want to reflect on parts of the day. For the past 3 years I never took the opportunity to share our story, till right now. I will start by saying we were very fortunate enough to get married on the beautiful island of Kauai thanks to my in laws, we had the pleasure of having around 35 friends and family members take the journey with us, it was pretty rad! If I could remember correctly there were 3 houses rented, 2 scooters and a few hotel rooms to accommodate us all. 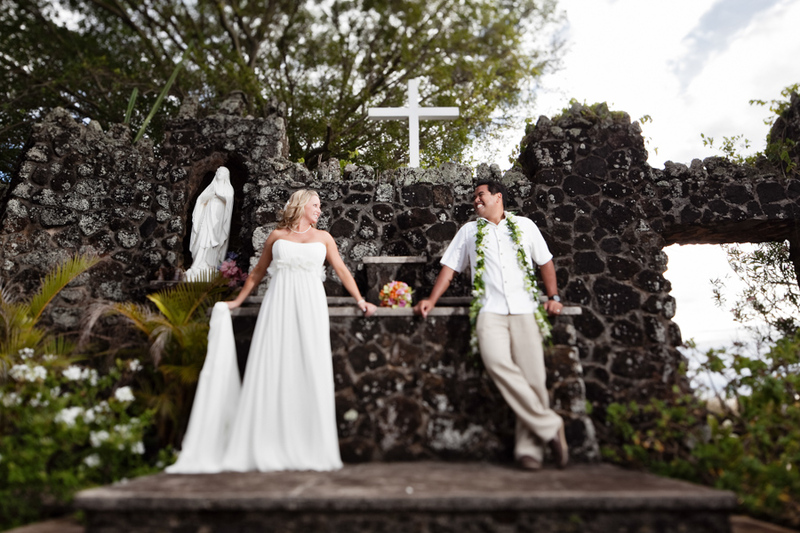 We were spread out throughout south Kauai in Poipu, but it worked out perfect! The morning of the our wedding day was absolutely picture perfect. I woke up before anyone in the house, threw on my running shoes and took off for a 5 mile run (That's when I was still running regularly). As I left the house the first thing I noticed was a rainbow, of course I took a picture and from that very moment I JUST knew it was going to be great day. When I returned from that run, I had a quick bite to eat and then jumped on one of the scooters we rented (side note: renting a scooter is MUST DO while on the island) and then headed down to the Blue Orchid flower shop on Koloa Rd. to order some flowers to be sent over to Heather's room at Grand Hyatt Kauai. The ladies there were awesome and made it happen even with such short notice. From there I went cruising a bit to check out the scenery, took some pics with my phone and enjoyed the morning. As for this year, I just want say that I have been blessed to be married to my love. We have grown so much including our family with the addition of our little man Colton. She has been nothing but great to him, taking care of him throughout the day and teaching him soooo much. I couldn't have asked for a better mom to my son, seriously! I love you so so so much my love! Looking forward to many more years together! Here is a few shots taken by Johnny and his team from Dulce Photo , they did such an amazing job we couldn't have been more happy.